The Verdict: HyperX delivers their most compact headset yet, featuring the full sound signature and feature set of the lauded Cloud Alpha and decent Bluetooth support with a 20 hour battery. That’s all pretty great! But the $199 price point makes it twice the price of its still-awesome Alpha predecessor. Also, many other $199 Bluetooth headphones offer noise cancellation and/or longer battery life, even though they don’t feature a gaming boom mic. And Steelseries offers the nigh-identical Arctis 3 Bluetooth at $99. Still, the Cloud Mix is a solid product. It’s just in a bit of a tricky pricing situation that doesn’t make it a clear recommendation. If you got here via Google, thank you! I put this verdict at the top so you could read it and move on, if you need to. I hope it helped you make a purchase. If you want more of my thoughts, they are below! I’ve wanted this product for a very long time. When HyperX first teased last year’s Cloud Alpha, I was convinced it was finally the wireless Cloud II I’d longed for, and that it would launch at a price point of $150 to compete with the piles of other wireless headsets that hit that cost last summer. I was completely wrong on all counts, and the Cloud Alpha was essentially a Cloud III. It had a new design, new drivers, and a removable cable, and it kept the $99 price point that HyperX had long held a dominant sway over. It was better than the Cloud II in every single way…and then for some ungodly reason, HyperX kept selling both headsets side-by-side. I’m here to tell you: the dongle is complete TRASH. I should know! It doesn’t even properly support surround sound audio data, and it’s got NOTHING on Windows Sonic and Razer Surround, which are both available for free. So stop telling me about the dongle. It’s no good. The Cloud II is a stupid product at this point, and although it had a fine legacy, it should be discontinued in favor of the Alpha. There’s no reason to have two products at the same price when one is objectively inferior. Not content to have only one stupid headset on the market, six months later HyperX released the Cloud Flight. It’s a $150 wireless gaming headset that retails for $160. That 10 dollars gets you…no readily apparent advantages over the countless other choices out there, and a design based off the more plasticky Cloud Stinger instead of the aluminum-clad Cloud Alpha. Now, a year and a half after I thought it was coming, the true wireless Cloud is here. The HyperX Cloud Mix is a $199 closed back wired gaming headset that features a removable boom mic, an integrated backup mic for phone calls, and a Bluetooth 4.2 mode with AptX support and a 20 hour battery life. It has control buttons. It comes with a carrying pouch. And in the pursuit of all things small and portable, HyperX have spent the last year and a half crafting a new tiny design that’s 10 percent smaller than the Cloud Alphas. The Cloud Mix sounds very much like its Alpha predecessor. 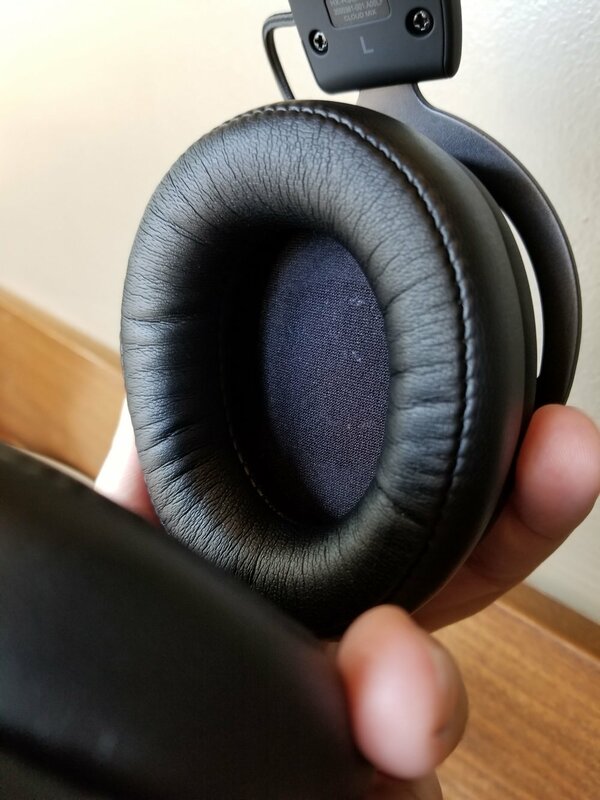 It has 40mm drivers in a closed-back “dual chamber.” This is basically a series of air pockets in the back of the ear cup that help minimize distortion, and it really works. The sound is clean, crisp, and punchy when it needs to be, and it sticks very close to “neutral/flat,” with a little extra fun in the bass and treble that won’t blow up your head. In fact, the only major change I noticed in the sound is that they’re a bit more sensitive to positioning/good seal/my glasses than the Alphas were. Bass response is going to suffer if you don’t get these placed just right on your noggin. This is probably due to their smaller design and is not necessarily a flaw, I just had to spend a bit more time dialing in a good fit than I would have liked in order to achieve the best audio reproduction. New to this model is high res certification for wired operation, which depending on your tastes will either seem like a pointless marketing gimmick or a nice feature to have. I think they do sound a little nicer in wired mode, which could just mean that the drivers resolve enough detail to benefit from my amps…or maybe I’m finally living the high resolution audio dream. Either way, these sound just about “perfect.” There’s nothing I could complain about here without feeling a bit daft. True, it was much nicer to get this sound quality in $99 headphones instead of $199 headphones, but I’m glad that HyperX’s quest for portability didn’t get in the way of the audio. In spite of looking like a cute scale model of other HyperX headphones, these still manage to fit on my big dumb head. I have to extend them out to 8 of their 10 adjustment clicks, and the edges of the ear pads come very close to touching my ears. Fortunately, the ear cups are DEEP. Like, Bose deep. Every ear cup should just be deep. You know, so that a human ear will fit inside. The new boring-looking headband appears like it will be uncomfortable and not get the job done, but the lighter weight of this model means that it does just fine and these can easily disappear on your head after just a few minutes of wearing them and letting their memory foam memory-it-up a bit. In spite of not using the fancy new Bluetooth 5 protocol in favor of 4.2, the Cloud Mix is still totally fine as a wireless headset. The range is rated at the standard 10 meters, but I was able to get further away than that in my apartment with multiple walls in the way and didn’t experience any connection issues. I got to about 40 feet just fine. No, that’s not the insane range of the W1 chip in Beats products or some other newer Bluetooth 5 headphones, but it’s still pretty solid. 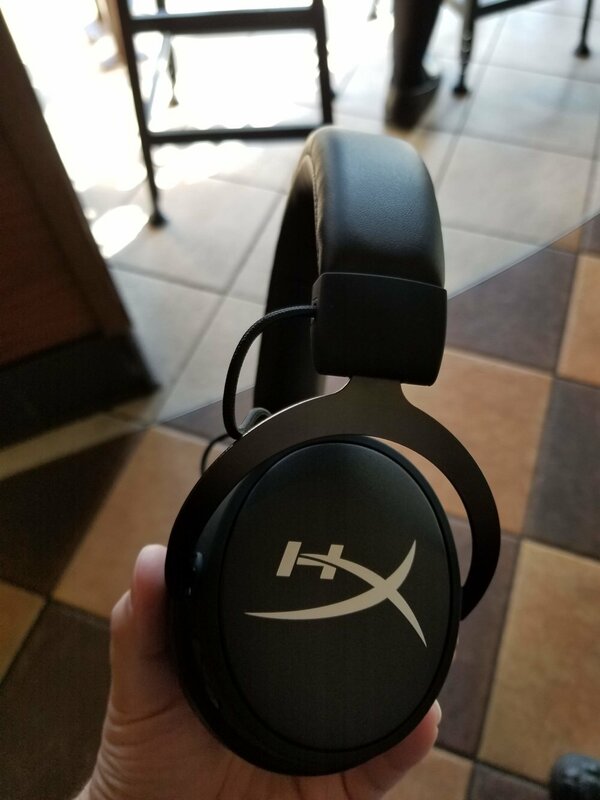 I’ve seen certain other reviews online claim that these don’t have AptX support, but they must have just trusted the total lack of info on the HyperX web site instead of actually trying it because…these totally support AptX. Here’s a few photos I grabbed on my MacBook, running these with AptX just to prove it. UPDATE 11/30/18: Jailbreak commented below and asked about AAC support, something I should have covered originally but skipped because I was so frustrated about seeing many comments online about lacking AptX support. For those of you that like AAC, and listen to music in that format and don’t want additional compression going on, I have good news: these also support AAC. Here are some images for proof, once again, before anyone asks! They sound quite solid in Bluetooth mode, the range is good, and the 20 hour battery life quote seems spot on. Thank goodness all those things are good. You’re paying $100 for them. Wired, the boom microphone sounds a little bit better than the microphone on the Alpha. I didn’t love the way that mic sounded. It was a little compressed and over-focused on background noise cancellation. This new mic splits that difference a bit better, and I like it. In Bluetooth mode both the in-cup microphone and the boom mic sound kind of bad. The Bluetooth audio standard just doesn’t dedicate that much bandwidth to mic audio, and the result is a muffled performance that’s totally fine for phone calls and basic chat, and not amazing for any other task. Here’s some tests of each microphone. This has the classic HyperX build quality. The headband is aluminum inside. The forks are aluminum. The ear cups are rubberized plastic and aluminum. The pads use the same wonderfully supple material used on the Cloud Alphas. I enjoy just touching them. Although it sightly lacks lateral ear cup movement for easy adjustment, there’s not a creak, squeak, or hint of cheapness in sight here. And the adjustment clicks are quite stiff and satisfying. Thank goodness. HyperX’s other products usually have solid build quality, and if their most expensive one had gotten worse…that would be bad. I don’t understand why this didn’t just use the same industrial design as the Alphas, but maybe in a new color. Instead, the Cloud Mix is 10 percent smaller, and about 38 grams lighter. I was worried that they wouldn’t fit my huge-o head, but they still do and they’re still comfy. But everything has been tweaked to be as small, thin, and light as possible. Good for a portable headset yes, but it has some drawbacks. The headband took a quality hit. It doesn’t have the fancy stitching along the edges and the padding isn’t as supple. The joints where the forks connect to the ear cups are no longer fancy pivot points, rather the forks just kind of go in there. If you’re possessed of larger ears, while the cups are still deep enough to hold them comfortably, the openings might no longer be wide enough. They still seem reasonably large, but the holes aren’t as spacious as those on the Alphas. I’d show a direct photo comparison here but I don’t own my Alphas any more. I’m sorry. Sometimes I have to sell headphones in order to afford to keep doing this. I’ll refund you the money you paid for this review at the end of the page. Overall, it’s a cute little headphone, and it does have a reduced weight…but I’m not sure if it was really necessary. I mean, I’m not an industrial designer. Maybe their wireless chip and battery implementation were so heavy that they had to shrink the whole headphone down lest it weigh 400 pounds, or maybe they did some research showing people thought the Alphas were too big to be portable. You probably would never know these were smaller until I told you, unless you saw them side by side. And it may not even be a deal breaker. But it is…a little strange to go through all this R and D again when you already have a reasonably light Alpha chassis just sitting there. And now they have to make two different sizes of these soft ear pads. It can’t have been easy to retain the deep cups, driver design, and dual-chamber system along with the wireless hardware in a smaller package, so I guess it’s commendable… in a way. It’s also a little weird. Just like the cable on the Alphas, the end that plugs into the Cloud Mix here is elongated to fit into the recessed jack…meaning you might be stuck buying from HyperX if you need a replacement. Also, the end that plugs into your device is STRAIGHT, which is annoying. I’d prefer it if it were angled. The rest of the extras are fine. I threw the included USB cable and PC splitter into my closet. The included bag is fine, but not any nicer than the Alpha’s included cloth bag. HyperX did the thing again where they photoshopped out the little cords that connect to the ear cups from the headband. I don’t know why they do this. The rest of the packaging design is actually really nice. I realize my complaints aren’t all that complainy, and that’s because this is a reasonably good product. Weirdly, it’s much better if you have no experience with the rest of HyperX’s product line. If you’ve never heard of the Cloud Alpha, you’d never know that these are twice the price for one big new feature inside a carefully-crafted-but-maybe-pointless smaller frame. It’s hard to tell you to run out and buy this when you could get the $99 Arctis 3 Bluetooth that has the same featureset. It’s hard to tell you to buy this against other Bluetooth headphones in the $199 category that have longer battery life, flashier designs, and often…Active Noise Cancellation. Sure, they don’t have gaming mics, but they’re better Bluetooth headphones. In a way, the HyperX Cloud Mix lives up to its name. It’s indeed a mix of a wired gaming headset and a Bluetooth headset. I’m just not sure that demanded doubling the price over the Alphas. At $149, this would be a world-destroying product just like the Alpha and Cloud II before it. But at $199, it’s priced just high enough to face some serious competition. Maybe if they hadn’t redone all the industrial design, the price wouldn’t have to be as high. If you want a wireless headset that looks like a Cloud Alpha, is smaller, and also does well as a wired gaming product…well here it is. You’ll be stuck paying the price it costs, just like I did. I like them, and I plan to keep them, but I’m doing so under mild price duress. Imagine this ends with a tiny flag of protest.